Brazil: Brazil will adopt the World Health Organization (WHO) standards from the next week to determine if a baby has microcephaly, the media reported on Thursday. In Brazil, if the circumference of a baby’s head is equal to or less than 32 cm, it is determined to be a case of microcephaly, Xinhua news agency reported. However, after the WHO made new recommendations in February, the criteria will change it to 31.9 cm for boys and 31.5 cm for girls, the Brazilian health ministry said on Wednesday. According to a new report by the ministry, 4,231 suspected cases of microcephaly were under investigation by March 5, with 745 cases having been confirmed and 1,182 having been eliminated. Furthermore, 157 deaths of fetuses and babies with suspected microcephaly have been registered. Out of the confirmed cases, 88 have been diagnosed with Zika, but authorities believe it is the cause of the most cases of microcephaly. Other causes could be syphilis, toxoplasmosis, rubella, herpes and cytomegalovirus. 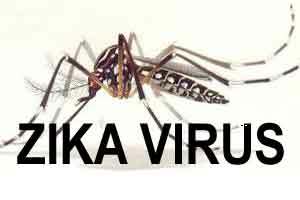 The ministry said it is prudent to follow the WHO recommendation that pregnant women should avoid travelling to areas affected by Zika.